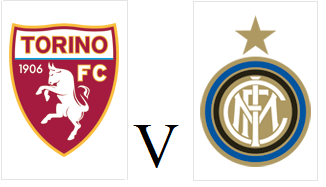 The Serie A season kicks off this weekend and Torino face a difficult home game against Inter on Sunday evening. This summer has been a difficult one for the Granata, with last season's capocannoniere Ciro Immobile departing the club for Borussia Dortmund, whilst their has been constant speculation over the future of Alessio Cerci. That speculation is sure to continue as once again Cerci is absent from the Torino squad, but with only three days remaining of the transfer window remaining, time is running out for clubs to meet Torino's €20m valuation of the player. Argentine Juan Sanchez Miño is named in a Torino squad for the first time, as the player has finally received his Italian passport after a number of delays. With Paulo Barreto injured, Venezuelan striker Josef Martinez could be given his first start for the club, whilst Antonio Nocerino should return to the starting eleven in place of the suspended Giuseppe Vives. Opponents Inter have also had a busy summer in the transfer market, and Nemanja Vidic, Gary Medel and Yann M'Villa are all in line to make their Serie A debuts. Torino progressed to the Europa League group stage after a nervy 1-0 victory over Croatians RNK Split on Thursday evening. Fabio Quagliarella made his first start for Toro, whilst Nicola Maksimovic and Marco Benassi were also surprise starters ahead of Cesare Bovo and Antonio Nocerino. Omar El Kaddouri almost caught out Andrija Vuković with a free kick at his near post, but the goalkeeper who impressed many in the first leg was equal to the task. Torino had Daniele Padelli to thank moments afterwards, when he managed to divert Mate Bilić's close range header wide of the target. Almost immediately after that near escape, the Granata were awarded a penalty when El Kaddouri's low cross hit the arm of defender Ivan Ibriks. The Moroccan international stepped up to take the penalty and calmly sent the impressive Vuković the wrong way. Fabio Quagliarella, who has a reputation of scoring spectacular goals almost added another to his collection, but his effort from nearly 40 yards was tipped over the bar. The former Italian international came even closer to scoring just before the break but his volley went narrowly wide of the post. Toro continued to create chances in the second half, but were unable to put the tie beyond doubt with substitute Josef Martinez coming closest to extend their advantage. This failure to put the game to bed lead to a nervy last ten minutes for the home side, but much to the fans' relief they were able to hold on. In Friday's group stage draw, the Granata were handed a favourable draw as they will face Danish side København, Belgian side Club Brugge and finally Finnish champions HJK. This draw may give the Granata an added belief that their European adventure may extend into 2015. Torino are just 90 minutes away from the Europa League group stage, but they will have to beat RNK Split on Thursday evening in order to progress. After a 0-0 draw in Croatia a week ago, it could be a nerve-racking night for the Granata, who will be without striker Marcelo Larrondo who picked up an injury in training earlier this week. That should mean that Fabio Quagliarella will make his first start for Toro since re-joining the club, and he could be partnered by Venezuelan international Josef Martinez up front. The Granata were made to rue missed chances as they failed to score a crucial away goal in their Europa League playoff round match against RNK Split. Fabio Quagliarella was once again left on the bench as Giampiero Ventura decided to keep faith with strike duo Paulo Barreto and Marcelo Larrondo. It was the Argentine striker who had Torino's best chance of the first half, but he was denied by the Croatian side's goalkeeper Andrija Vuković. RNK were creating chances themselves, mainly from set pieces, but Cameroonian Henri Belle forced Daniele Padelli to push his ambitious 35 yard shot over the crossbar. In the second half, Larrondo was once again denied by Vuković, whilst Padelli also had to make a save to deny Croatian striker Mate Bilić. Former Italian international Quagliarella came off the bench with twenty minutes remaining to try and get a winning goal for Toro, but even he was unable to find a breakthrough. Due to having so many clear cut chances, Toro will be disappointed not to have won the game but will still feel they are favourites to progress with the home leg at the Stadio Olimpico to come next Thursday. Torino are just two matches away from the group stage of the Europa League, but face a difficult trip to Croatia this evening. Opponents RNK Split impressively saw off Ukrainian side Chornomorets Odesa in the previous round, so will certainly be a difficult proposition for the Granata. Despite finally getting his Italian passport, Juan Sanchez Mino is not included in the squad, neither is Alessio Cerci, which may be a sign that he may be departing the club shortly. Torino secured their place in the next round of the Europa League with a convincing 4-0 victory over Swedish side Brommapojkarna. Matteo Darmian came into the starting eleven to make his first start of the season, as did new signings Ruben Perez and Marco Benassi. The Granata were ahead within five minutes in comical fashion, when Kristinn Jónsson managed to score an own goal after the ball ricocheted off him following Davor Blažević's save from a Marcelo Larrondo strike. Despite dominating the game, Toro had to wait until the end of the half to double their lead, and it was World Cup sensation Matteo Darmian who scored his 2nd goal for the club, with the aid of a deflection. Just before the hour mark, Fabio Quagliarella came on to make his Torino debut for a second time - over ten years after making his first appearance for the club. The former Italian international was given an opportunity for a debut goal after a Swedish defender was penalised for handball in the area, Quagliarella stepped up and made no mistake to extend Torino's lead. In injury time, a fine cross from Cristian Molinaro found substitute Josef Martinez unmarked, and the Venezuelan striker headed home to score his first goal for the Granata. 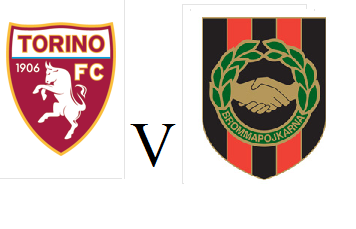 An aggregate scoreline of 7-0 in their first European game in twenty years was certainly impressive for Torino, but in all honesty, Brommapojkarna were a poor side who rarely threaten Toro at all during the two legs. The Granata face one more tie before they can secure their place in the Europa League group stage, and Croatian side RNK Split will certainly provide a tougher test in the next round.